The past two years we’ve been celebrating New Years Eve outside the United States and through this we’ve been picking up some fun New Years Eve traditions from around the globe. 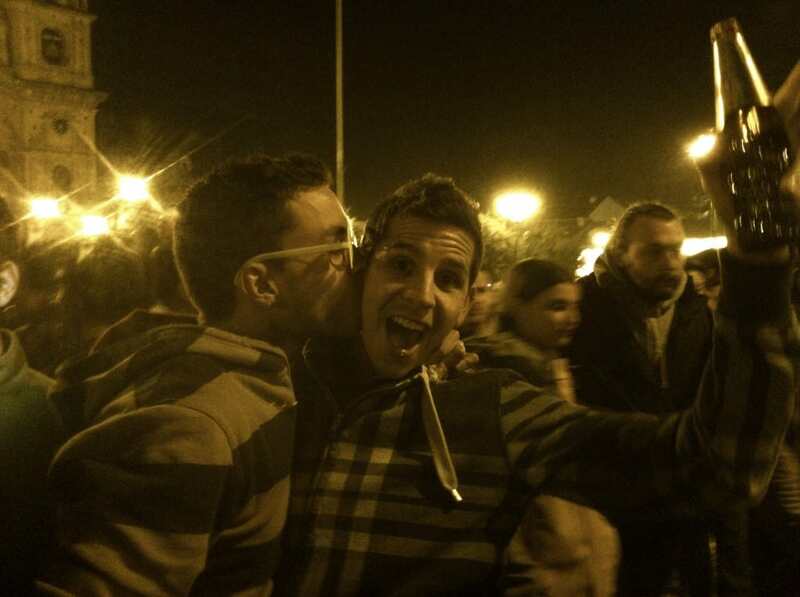 In the USA and similarly in France, there is the kiss at midnight. You never want to be the one without someone to plant a smooch on lest you have the unfortunate luck of being lonely in the coming year as traditions suggests. And perhaps if you’re celebrating at a house party, the television will be on in the background as you watch those crazy enough to actually go to Times Square and huddle in an overcrowded mass to watch the ball drop as has been done since 1907 when the city banned fireworks and a new tradition was needed. Well in addition to the traditional midnight lip-lock and ball drop, here’s what else we’ve picked up on our travels during the end of the year holiday season. 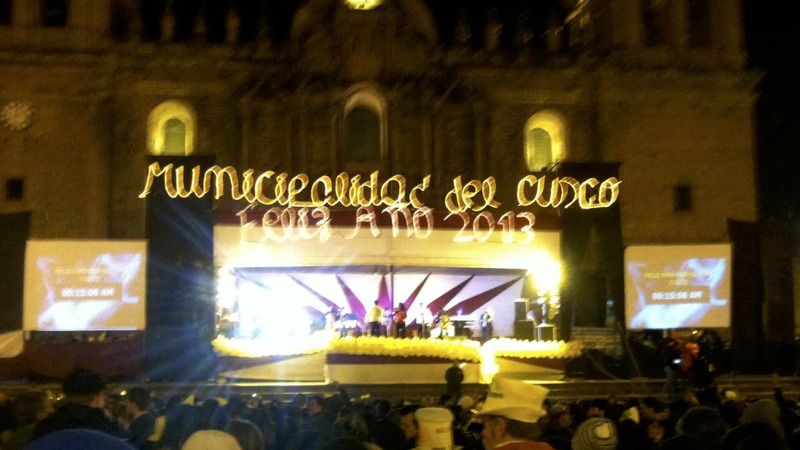 We spent NYE 2013 in Cusco, Peru just a couple days before we went to see Machu Picchu. One day we went to a market a couple days before the new year to purchase a blanket for a picnic we were planning. Looking at all the stalls selling various items, it was quite evident that the color yellow had significance. Yellow glasses, yellow shirts, yellow necklaces, yellow hats, and even yellow bras. Yellow, yellow, yellow. 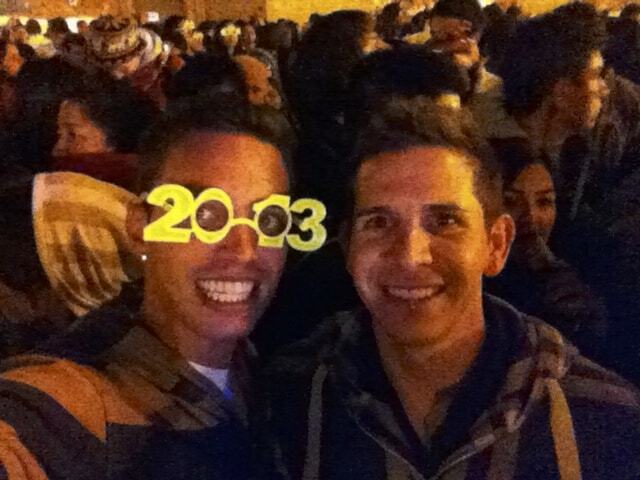 It wasn’t difficult to figure out that wearing yellow on New Years Eve was a Peruvian tradition to bring good luck. At midnight in Spain, or rather a few seconds just before, the Spaniards eat twelve grapes one after the other during the countdown to the new year. This is meant to symbolize prosperity for twelve months in the year to come. Today, this is not just specific to Spain as Peruvians and other Latin American countries do the same. Also, in Spain New Year’s Eve is referred to as Noche Vieja or if directly translated Old Night which is similar to its English name in Barbados. Another end of the year holiday destination option is to flythomascook to head to Barbados for New Year’s Eve. You’ll learn upon arrival that it is known as Old Year’s Night there – a similar yet somehow backwards sounding name. Traditionally, midnight mass is popular on Old Year’s Night and in addition to the religious celebration there’s a bit of glamour to the people. They get dressed to the nines in observance. If you’re booking flights to Barbados for the holidays you can also expect to enjoy traditional foods like jug-jug, made from ham, guinea corn flour and peas. Much like Berlin and many other cities worldwide, fireworks are also part of the entertainment. New Year’s Eve in Germany is known as Silvester, a name that derives from the anniversary of the death of the former pope Saint Sylvester on December 31st, 335. 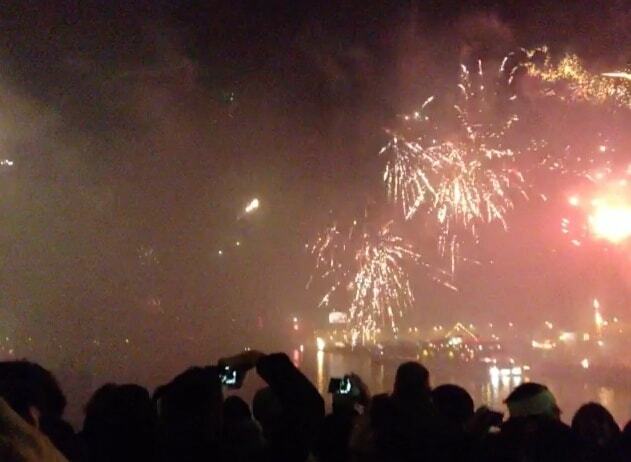 The fireworks celebration in the capital city of Berlin is the main event though surprisingly unregulated and intense. This is not an elaborately planned fireworks display put on by the city, but rather a catastrophic mess of fireworks launched by anyone who bothered to purchase them. While it is still a rather impressive show, it’s also a bit unsettling when a drunken spectator launches one into a crowd. Exciting? Yes. But take caution on this night in Berlin! 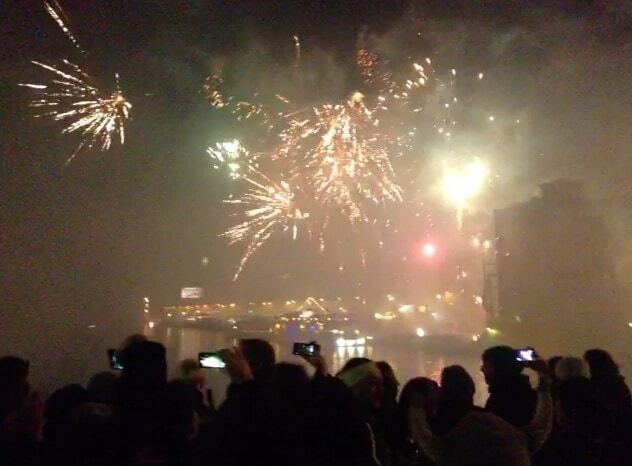 What’s your favorite New Year’s tradition? Have you made any New Year’s resolutions for 2014? Share with us in the comments! HAhaha – I like your description of NY in Berlin. It can be a real mess here! Ya it was crazy. A lot of fun but I was afraid my head was going to catch on fire!